I tend to carry a bit of “stuff” on my bike just as a precaution. I’m a little over careful that way. Be Prepared having been drilled into me as a Boy Scout. This means that one of my side cases is always full of tools, rain gear, tie downs, first aid kit, tire puncture kit, and various other odds and ends. I accumulated these essential items by way of either needing it and not having it or having it and begin really glad I did. Once items go into the side case they rarely come out. Pro Tip: If you put wet rain gear away in a waterproof side case, make sure that you take it out to dry when you get home. This may seem obvious but waterproof cases are not only waterproof on the outside, they are also waterproof on the inside. This is why I now have a fuzzy tool roll. Being one side case down for storage meant I either needed to strap a bag on the back of my bike or get a more weather proof option like a top case. 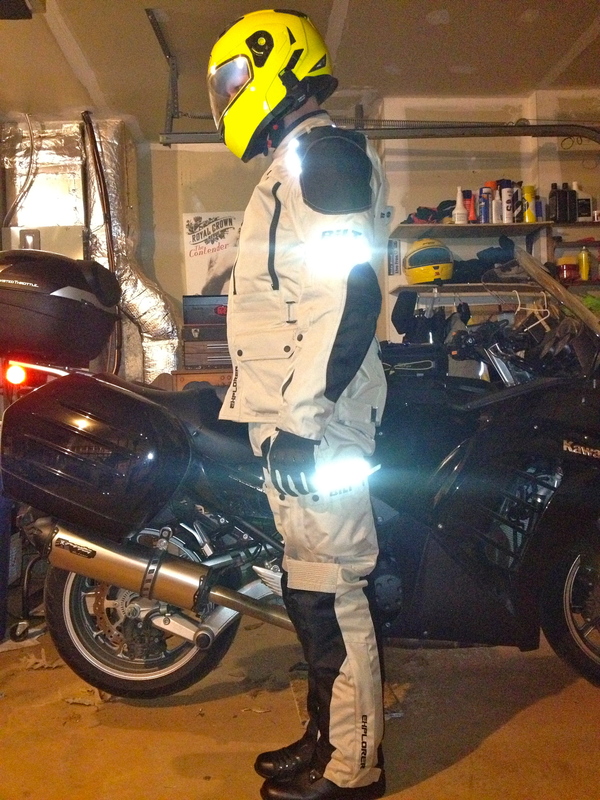 I did extensive research online as well as polled other riders about what they had purchased. 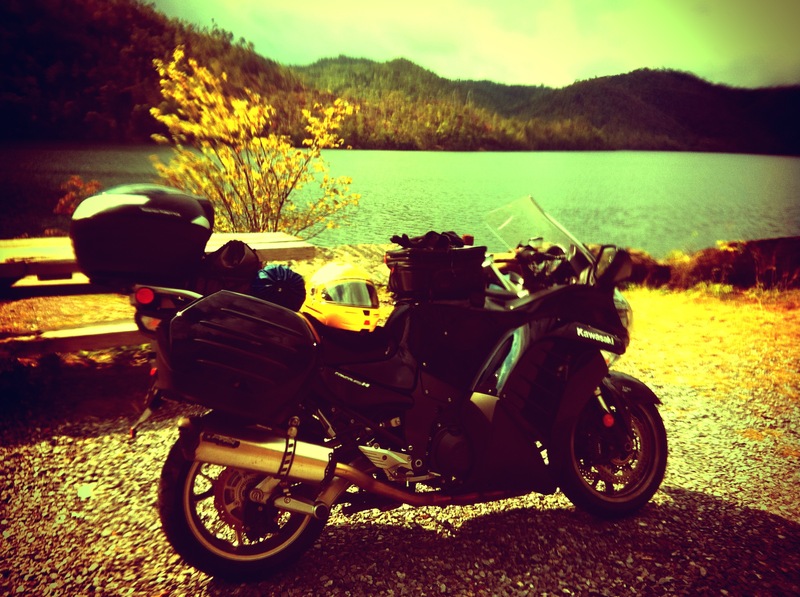 I narrowed my options down to three choices: OEM, Givi or Coocase. Each of these options had their pros and cons but in the end I chose the Coocase S50 Astra Topcase. For those not familiar with Coocase, they offer a line of motorcycle and scooter top cases that are feature rich and cost about half that of a Givi. I purchased my Astra from Twisted Throttle. Their site was also very helpful in choosing the case thanks to their videos and customer reviews. The Coocase comes standard with a padded inner liner (top and bottom), integrated alarm, LED running lights, brake lights and remote control. There is also a connector in the case for an optional accessory charger, I haven’t purchased this but I plan to. In addition I also bought a passenger back rest and SW-MOTECH’s steel toprack that replaces the plastic OEM rack that came with the Connie. The build quality of the Astra is excellent. The gloss black matches my bikes color exactly. This being my first top case I cannot compare it directly to other cases. My opinion, however, is that the case itself is rigid enough that I would feel comfortable and safe leaning against it while riding on the passenger seat. The steel toprack connected to the Astra’s mounting base instills me with confidence that the Astra will stay put without issue. If there is a nit to pick it is with the locking mechanism for the lid. When I received the case it was very stiff. To close the top case took a fair amount of effort. I had to both push down on the lid and push up from the bottom of the case to get the latch to click home. The key lock was also pretty stiff. A few shots of WD40 into the lock solved this problem. Wiring up the break/running lights was simple and direct with a kit and instructions provided by Twisted Throttle plus a set of Posi-Lock and Posi-Tap connectors (note: if you are not familiar with Posi-lock products, you really have to check them out. They are the simplest way of wiring electronics to your bike I’ve ever seen). I did not connect the case directly to the battery as suggested in the installation instructions. Instead I tapped into the license plate light and the brake light line. This does mean that I am unable to use the remote to lock/unlock the top case or use the alarm unless the bike is on. This didn’t present a problem for me as I ditched the remote pretty early on. As for the alarm, if you can actually get the top case off the bike without the key you are welcome to what’s in it. You obviously need it more than I do. I’ve had the case now for over a year and it has been a welcome addition of my daily commute as well as on longer trips. It has held up well. The lenses for the lights have started to yellow a little. I’m not worried as they look more smokey then faded at this point. There are no cracks in the plastic and minimal scratches. I did recently have to repair the female connector on the bottom of the top case. The solder points that connect the wiring had broken off inside the connector on the base of the top case. I had to remove the plug and solder new connections in place. This involved having to take apart the entire locking mechanism inside the case and adding new wires to the plug as the ones that came with the case had no slack to work with. The repair took about … well let’s just say if I was better at soldering it would have been about an hour. Everything is working as designed now. Overall I’m still happy with the top case. It’s large (holds two full face helmets) which comes in handy more often than I would have thought. The added brake/running lights are a nice addition too. I’d recommend this product to anyone looking for a less expensive (but certainly not cheaply made) feature rich top case for their bike. Just before last Christmas I realized that my HJC Symax was showing its age. The flip-up chin bar was breaking at the connection to the helmet on one side and it was pretty scratched and scuffed. I have to say in its defense that it has held up very well for being around 10 years old. I started hunting around for a new helmet in the hopes that I would have one selected in time to tell Santa what I wanted under the tree. I did and here’s a review of my new (now three months old) Nolan N103. I have to preface this review with a few things first. The most important is that I’m borrowing the categories and format of the review from the good folks at webBikeWorld where I spent hours reading and comparing helmets before buying the Nolan. The other item of note is that I have only owned three helmets, A Fulmer (lineage not remembered), an HJC SyMax and now the Nolan, so my basis for comparison is limited. I do however ride a lot and have ridden a lot in the Nolan so I do have a fair amount of information regarding the Nolan. Having had the Fulmer full face helmet and the HJC flip-up I knew that I wanted another flip-up helmet. The convenience of being able to pull up the chin bar at a stop light or when putting on the helmet was a feature that, having had, I could not do without. This narrowed my search for a new lid considerably by eliminating half and full face helmets. I don’t consider the “novelty” helmets that many H-D riders where practical or even really helmets. You get about as much protection from a baseball cap as you do wearing one of those so they were not even an option. Color choice was another important feature for me. I wanted a color that was highly visible as i use my bike to commute to work several times a week. I settled on yellow or possibly white as the dominant color choice. This was probably the most restrictive feature as most flip-up helmet makers choose several variations of black or gray as their color options, I suspect to catch a majority of riders preferences. My last important feature was venting. 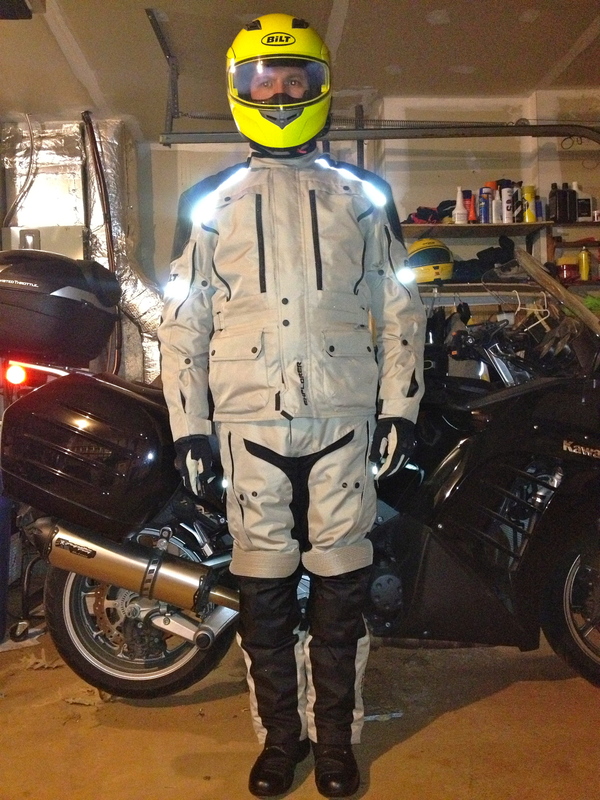 My HJC, as great as it was totally lacked any real top ventilation and was a real sweat box in the summer. I first became aware of the Nolan helmets through the Aerostich catalog. I’m an avid reader and purchaser of their equipment (yes, even though I ride a Harley). I was impressed with the helmet and with the optional communications packages that are available. Already being a regular to webBikeWorld I headed over there to see if there was a review of the N103 and sure enough there was. I read that and almost every other review that I could and decided that the next step was to find one to try on. Fortunately a local dealer sells Nolan helmets and I was able to do a test run in the store. Needless to say I was won over and bought the helmet on the spot. From an aesthetics perspective the N103 is, well, large. That was my first impression when putting it on. The bright yellow only served to accentuate the feeling that I was going to be a giant lolly pop riding down the street. Once over that shock I was able to and have been able to appreciate the build quality and finish of the N103. It’s solid yellow paint so there are no graphics but the finish is smooth with no imperfections. It has worn well since purchased and the yellow hides the normal swirl scratches that are inevitable (and highly visible on a black helmets). There is an integrated spoiler that, as far as I can tell, does nothing but then I ride chest into the wind so even if it did I’m not sure that I’d benefit from it. Other exterior details include chin and top vents with a rubber “switch” to open and closing them, tool-less visor removal, chin curtain, and a unique latching system to open the chin (I’ll get to that later). All the details and functional items seem to date to work as intended and that means well. I know that it’s only been three months but everything is still clicking and sliding like it did on the first day I bought it. The interior is very plush and soft. Nolan marketing refers to this as the “Sanitized Clima Comfort antimicrobial hypoallergenic interior.” While all that may be true the most important aspect for me is that it is, hands down, the most comfortable helmet interior that I have ever felt. This is compared to all the helmets that I tried on and have owned. It was one of the main factors in purchasing the Nolan. It is removable and washable. My only complaint is that the snap on the right side near the chin bar will not stay seated and pops out just about every time I take it off. It’s not intrusive but seems out of place related to the quality of the rest of the N103. The Nolan has a chin curtain and a neck roll for “wind-noise reduction”. I’ll get to the noise part later but the neck roll is nice on long rides, it helps stabilize the mass and size of the N103 and reduces neck fatigue if not wind noise. I have an internal debate ongoing regarding the chin curtain. 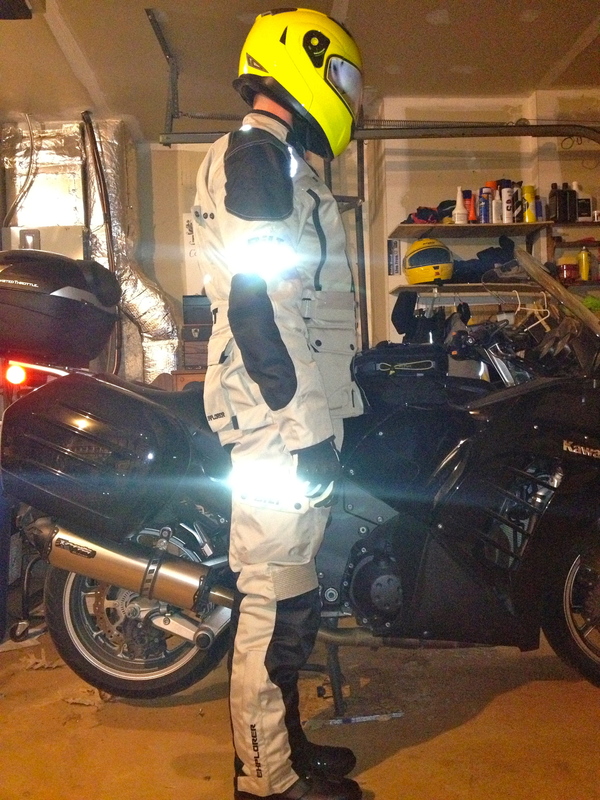 I like it when it’s cold out because it does limit the amount of air that comes in under the helmet. The debate is that I also wear a neck warmer when it’s really cold and the chin curtain tends to bind up a little and can make it difficult to turn my head. The bunching at the neck also presses on my neck which can be uncomfortable. I haven’t ridden in summer heat yet and so don’t know how this will affect hot weather riding. The good news is that the chin curtain is easily removed and installed so when it does get in the way I can just throw it in a saddle bag and install it again later if I need it. Nolan has fitted the N103 with a visor that I have some issues with. It is optically correct and there is no distortion, but at this point in helmet technology that’s really a given. My gripe comes from the fitment of the shield to the actual eye opening. There is a rubber ring around the eye port that the visor should match up with to create a seal. My helmet visor does not match up quite right causing some additional wind noise. Noise I can deal with, the real issue with this not matching up is in the rain. The gap allows water to drip inside the visor which collects at the chin guard until it drips down to the chin curtain and then down the neck of my jacket. This waterfall effect is pretty annoying and I’m currently looking for a way to correct the issue. I’ll post a fix if I find one. The N103 is defined as a Long Oval shape. This means that if you take out the liner and look at the open bottom of the helmet it has an egg shape oval to it. It also means that it is longer front to back and narrower side to side. This shape fits my head well and leaves plenty of space between the chin guard and my chin. The sides are a bit snug but not uncomfortable even on a long trip. I’ve completed a 300 mile day ride and didn’t have any issues even with ear phones in and sunglasses on. I’ve mentioned the plush and soft interior, it really is comfortable and provides a nice cushion all the way around my head with out pressing in too much. The liner does make wearing sunglasses a little hard but once they are on there are no issues with them slipping or moving during a ride. Over all this is a very comfortable fit for me but if you have a more round head shape I think that the narrow sides may press in and cause comfort issues. Ah, venting. Here I am totally biased since this is the first helmet that I have owned where when I opened the top vent I actually felt air flow. Neither of my previous helmets provided any top vent air flow that I could ever discern. Both the front vents and the top vents are manipulated using a rubber switch that, once you know where it is, is easy to operate with gloves on. The front vents open forward and act as scoops to pull air in and push it up onto the visor. They work very well for defogging and also for air flow to the face. I have not noticed any increased wind noise with the vents open. I’m obviously a big fan of the venting and combined with the moisture wicking effects of the liner works well (so far) in warmer weather. I’ve not ridden in temperatures greater than 80 deg. so far so it still remains to be seen if they are functional enough for hot DC summer temps, but I’m optimistic that they will perform well. Here was a real shock for me. Based on the over all quality of the N103 and all the features that it has it is noisy, more so than I would have guessed. The noise levels are greater than the HJC that I had and are better than the Fulmer by far, but it is there. I don’t notice an increase in the noise with the vents open, and it’s only mildly increased with the visor up so I have to attribute it to the air flow over the helmet. I believe that some of this is due to the short windshield on my FLHTI but I have to assume that the rest is just the normal flow of air passing over the helmet and bouncing off the integrated spoiler. I’m not sure if the design expects the rider to be hitting the wind at a different angle or that they expect the rider to be seated safely behind a larger windshield. Nolan’s are very popular with the BMW RT/Honda ST type rider where there is a slightly forward, more sporty riding position and a larger adjustable windshield so maybe this does not affect them as much. I can over look this flaw mainly because I always ride with ear plugs (or foam ear buds for my IPod) so the issue is masked. It makes me wonder though how effective the helmet speaker system would be if I were to have it installed. I’ll talk more about that in the Misc. section. I’m a little scared to install a $100.00+ item in the helmet if it’s not going to deliver the volume level (undistorted) to be able to really enjoy my music and pod casts. I’ve already mentioned my issue with the visor not sealing well against the rain so I won’t go into that again here. The N103 does come with an integrated, retractable sun visor that I really like. I’ve read a lot of complaints and criticisms regarding these sun visors. Most center around the visor not being tall enough when lowered and the bottom edge being visible. I have only noticed this when I first lower the sun shield, once it’s down, I am able to adjust to it and don’t have this problem. The nose cutout at the bottom seems pointless since it’s just not that close to my face. The sun visor is not really dark enough for mid-day sun but combined with my regular sunglasses works very well. It’s also great for evening and morning sun and I can forgo the sunglasses altogether. One other nice feature is the Pin Lock “Nolan Fog Resistant System” insert for the visor. It’s basically a smaller strip of the same visor shield material that fits into the Pin Locks (small nubs that the shield locks into) to prevent fogging. I have to say that it really works too. The true test was to not wear sunglasses or my regular glasses (I have contacts, don’t worry I’m not riding blind) and make sure that the fogging I was seeing was the glasses and not the windshield. So far I have no complaints about this system other than the trouble it took to install, which really was a few minutes if grunting and trying not to break my new helmet. 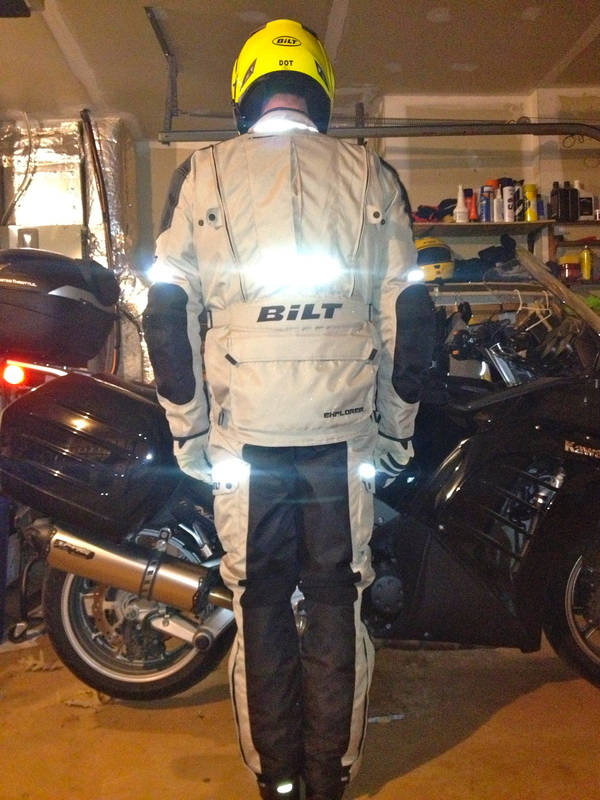 Once installed it works as advertised which is nice to see in motorcycle gear. The N103 is heavy at 4 lbs. 2-5/8 oz. in size XL.Heavier than any other helmet I tried on or have owned. That said, it is balanced well and the fitment of the interior and neck roll help to make it feel a look lighter, on my head, than it really is. Nolan has created for the N line an N-COM (Nolan Communication System) that integrates into the N103 (and previous N versions) by way of channels already built into the helmet. The basic kit includes helmet speakers, mic, and a wired connection for a cell phone and another wired connection to a music player of your choice. 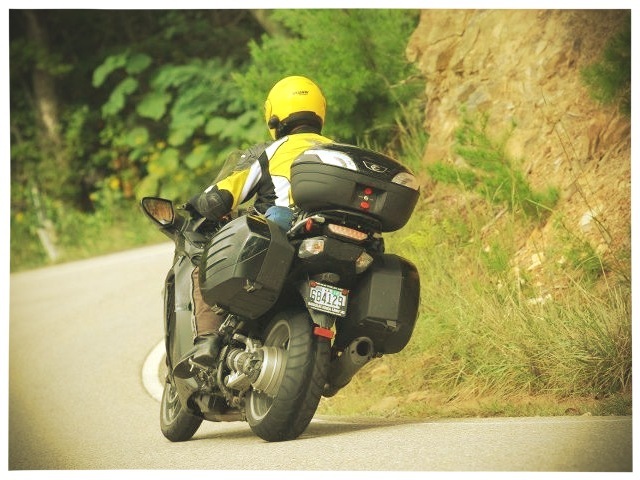 Upgrades include on helmet controls via an integrated unit in a preexisting door on the side of the helmet, Rider-to-Passenger intercom kit and a Blue Tooth kit for wireless connection to phones and music devices. There’s even an option for Bike-to-Bike communication with connection to a GMRS/FMRS radio. I happen to think that this integrated approach to communications is commendable. I do not however feel the same way about the price. The basic kit is ~$100.00, but you have to purchase the intercom kit, another $150.00 to be able to use the on-helmet controls or any communications and the blue tooth kit is $250.00. All this and you still have to purchase the wires to connect to the various devices that you want to add in. With the cost at about $250.00 – $300.00 to get the kit setup for use in a meaningful way, after purchasing a $350 helmet is, in my opinion, gouging the customer. I’d be less offended if the basic kit was sold with the helmet and then the other items offered as upgrades. This would put the pricing in line with other aftermarket communication systems and be more understandable. As it is, I’m not sure that I want to risk spending $150.00 when I may not even be able to hear my music over the wind noise that the helmet produces. So, A for effort but D+ on execution. I’ll just wait and see. I’ve pointed out the flaws as I see them for the N103, but I believe that overall this is a superior helmet. I now understand why it is as popular as it is. I have already recommended the helmet to other riders and will most likely purchase another Nolan in the future. The most important elements of the helmet are those that the N103 excel at, fit, comfort and quality (visor aside). I hope that if you happen across this review it provides you with some information that you did not have or did not know. For a more professional review I suggests going to WebBikeWorld and reading their review. 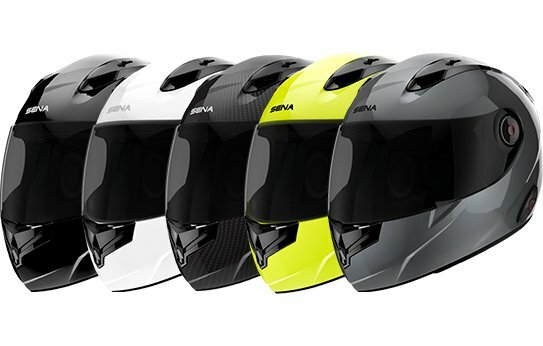 I found it very helpful and was also able to read reviews of other similar helmets for comparison.